After he was gone Mom set to unpacking, which amounted to opening her trunk and dumping four cardboard boxes at Peck’s feet. “What the hell is all that?” Peck said, looking at the pile. “That is a smorgasbord of riches,” Mom said. Peck cut through the crumbling strapping tape holding the boxes together to find exactly what she thought she’d find: the four dresses Mother had worn on her own wedding days. They smelled musty but were otherwise marvelously well preserved, and gradually less tasteful as they went from oldest to newest. Peck looked at each of them, half-heartedly, only to finally push the boxes aside. “She’s been very helpful,” Peck said. In a book that’s just a hair under 200 pages – it could have been made superficially longer, should I have desired, but when the choice is between less words on a page and a higher price, or more words on a page at a lower prince, I opted for economy – page 99 falls almost precisely halfway in the story. 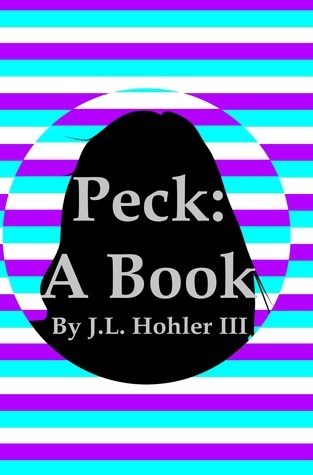 Better, it really represents a turning point in the central conflict of the story of Peck: A Book: the battle of wills between a mother and daughter. To this point in the story we’ve come to know the main character, Cecilia Peck, fairly well. We’ve heard of her parent’s divorce, been there for her first sexual experience, followed along as a death strikes her family, grew with her through college and laughed along with many of her foibles along the way. Though the story is her own, the true struggle in her life is the one she has with her mother, her desire not to become her mother. 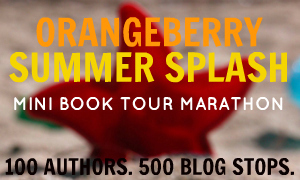 Up to page 99, Cecilia has been largely successful in being herself. Where her mother is impetuous and prone to marriage, Cecilia is more staid, prone to contemplation. Where her mother is flighty and moments of grandeur, Cecilia tends toward reservation. Though, being her mother’s daughter, Cecilia also has her own bouts of impetuosity and hot-headedness and when they come out, there are usually serio-comic consequences. So successful is she at charting her own course that by the time she’s reached thirty, an age at which her mother was midway through the second of her four marriages, Cecilia is ever-single. Better, she has no prospects for marriage. While Cecilia believes she achieved some sort of success in remaining single, people around her worry she might be taking this ‘I’m not my mother’s daughter’ stance too far and conspire to get her betrothed. But no matter how many men they bring her way, she turns them all aside, finding none that live up to her expectations, including the man she’d eventually marry, Mark. The details of how they come to be a couple, and married, after Cecilia initially rejects him are best left to the novel. It’s only important to know that, while she once found him self-important and loathsome, she soon finds him charming and marriage is in the cards. This is where we arrive at page 99. By page 99, the wedding is on, scheduled, and Cecilia’s mother has arrived on the eve of the ceremony from Florida, where she’s living with her fourth husband. Coming with her, of course, is a trunk full of her four wedding dresses, which she tries to foist off on her daughter. “Priceless artifacts, every one,” she describes them, though given that she’s been married four times, it’s doubtful she actually believes they are priceless..
Cecilia, though, has no use for them, having picked out her own dress months before, with the help of her soon-to-be mother-in-law, who she quite likes. Fireworks ensue. Page 99 of Peck: A Book nicely isolates the central conflict of the story. Throughout her life, Peck has done her best not to become her mother, has lived her life following that plan, and here on the eve of marriage, she’s presented with the opportunity to make complete that journey. She can accept the dresses from her mother and admit she’s becoming her mother; or, reject the dresses, embrace her mother-in-law and become what she’s always tried to be. Though Cecilia sees the dresses in such simple terms - “Thank you, Mom, but I have a wedding dress,” she says – clearly the issue is bigger than the garments and by rejecting them it sets in motion the schism that will damage her and her mother’s relationship, and truly leads to the realization, much later on, that both women are more alike than they care to admit.